Are you looking for ways to improve your home improvement web page? In today’s digital age, your website can be the first impression you make on a potential client. A user forms an opinion about your website in just .05 seconds. This means you need to make a positive impression and fast. One of the ways to do this is to appeal to your audience with a professional looking website. Read on to learn 10 web design trends for your home improvement website. 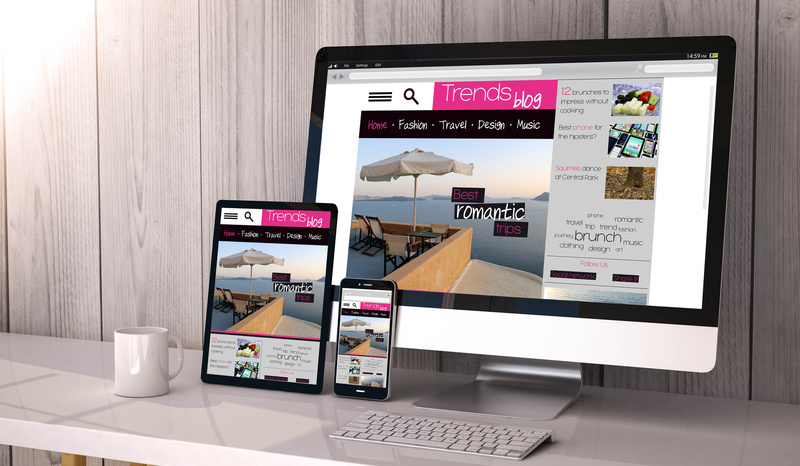 Your website must be designed for a seamless transition from a desktop to a cell phone or tablet. This is important because mobile web browsing is becoming increasingly popular and is showing no signs of slowing down. 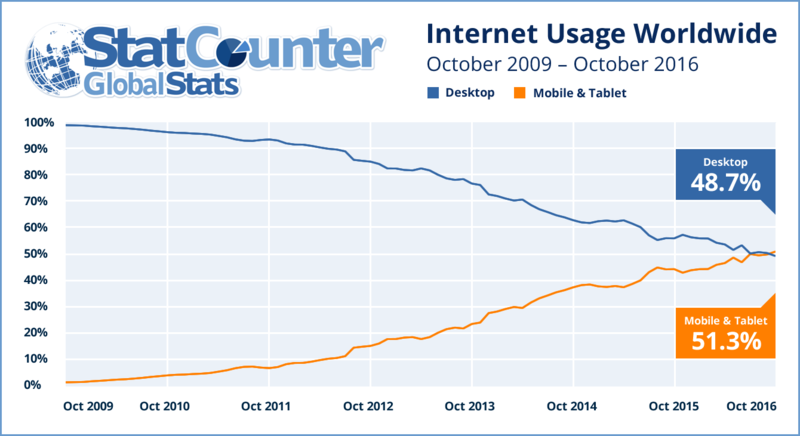 In October 2016, mobile and tablet web browsing worldwide surpassed the desktop for the first time ever. But this didn’t exactly come as a surprise to those in the industry. StatCounter reports showed an upward trending trajectory dating back to October 2009. Among the most popular web design trends of 2018 is using video content. According to Cisco, 80 percent of the world’s internet traffic will be video by 2019. This is a statistic your home improvement company simply cannot ignore. You should create video content that complements your written word. This way you are bringing the text to life and allowing potential clients to get a better feel for the products and services you offer. But it’s not just a matter of creating video content. You need to ensure the script for the videos is well-written and that footage is professionally edited and produced. After all, you are trying to make a positive impression on someone considering hiring your business. Web design trends show there is a lot of value in including high-quality pictures on your site. According to Jeff Bullas, a leading figure in internet marketing, articles with photos get 94 percent more total views. Like video content, pictures help liven up the written word. They also help break up long chunks of text to be more visually appealing to someone who is browsing your website. Your web design strategy should place an increased emphasis on security certificates. That’s because the safety of an individual’s personal information is becoming increasingly more important to them. In 2016, a record 15.4 million people in America were victims of identity theft. This resulted in losses of more than $16 billion. Adding a security certificate feature like secure socket layer (SSL), helps a consumer feel more comfortable with giving you their personal or credit card information. Among the most popular web design trends is the use of data visualization. Your data can be presented in a more effective way than just rattling it off in a list or paragraph. For example, Chimney Liner Pro chimney liner kits are designed to improve the efficiency and safety of a homeowner’s chimney. But how does it perform better than the competition? Presenting the results of tests or other facts in a chart or model helps deliver the message in a stronger way. Have you ever browsed a website with many different menus? This can make navigating a website a challenge. But fortunately, a trend in web design is doing away with menus altogether. Websites adopting this sort of design allow a visitor to browse a website at their own pace. This gives a user the chance to discover the website organically by scrolling through one long page with links to other pages on the site. This way, a visitor is in complete control of the browsing experience. In web design, there is a focus on using bigger typography to relay a message. Written content is an important part of a website but there is a trend to make certain statements stand out from the others. Using a bigger or bolder font at certain places in a website helps to break up the text being used throughout the page. It also helps deliver that sentence in a more effective manner, because it draws more attention to it. These sentences can also be what relays the “bigger picture” of the article’s message or connects the topic to your brand. High-speed internet technology has helped put a premium on web page load times. As you design your website, you simply cannot afford to ignore this. A study by SOASTA, a digital performance management leader, found that a delay of 100 milliseconds in web page load time can reduce conversion rates by up to 7 percent. When you fail to convert a visitor to your website, you miss out on the revenue generated by making them your client. Microinteractions are a popular way to help your website visitors react to something on your website. Have you visited a website like Facebook or Twitter? If so, you are probably familiar with the ability to “like” or react to something you see or read. For example, if one of your pages has a photograph of a newly designed kitchen, allow someone browsing your website to react to it. These interactions help generate interest in your content. It also helps others give you feedback on your products or services and the way you are delivering messages about both. Cinemagraphs are a popular web design technique that combines the strength of video and photography in a unique way. In short, these are still photos that have a moving element to them that captures your reader’s attention. The moving element of a cinemagraph can be used to highlight that aspect of the image or complement another. The most important aspect of this unique tool’s effectiveness is to be creative. Web design trends in 2018 are focused on delivering high-quality content to users quickly and creatively. 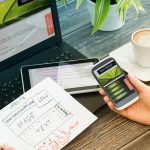 By taking advantage of these trends, you can build a website that is aesthetically appealing and informative to potential customers. 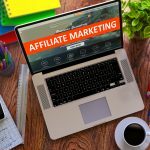 Are you interested in other ways to help generate traffic to your home improvement website? 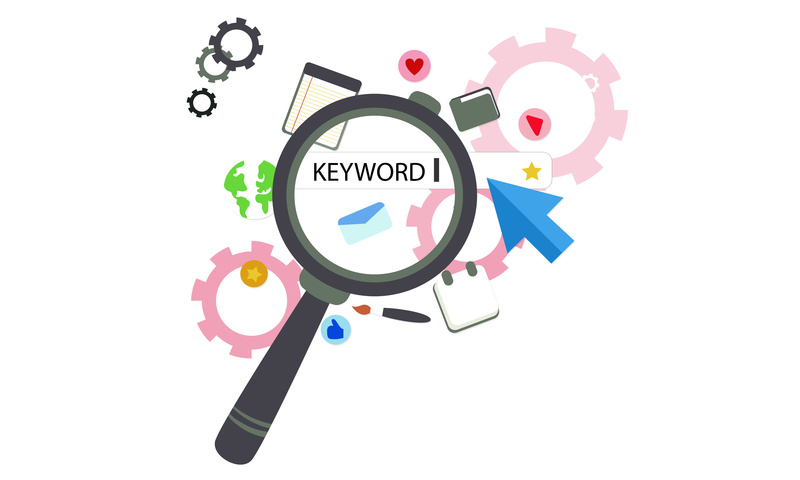 Check out our SEO tools to learn more about how to do it.